Ebenezer Scrooge is a bad-tempered skinflint who hates Christmas and all it stands for, but a ghostly visitor foretells three apparitions who will thaw Scrooge's frozen heart. A Christmas Carol has gripped the public imagination since it was first published in 1843, and it is now as much a part of Christmas as mistletoe or plum pudding. 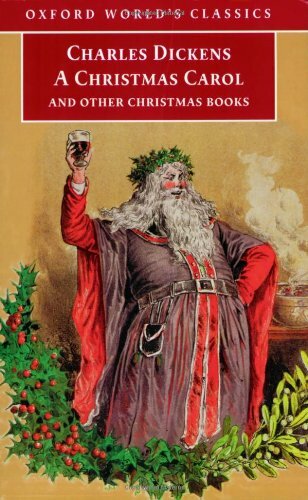 This edition reprints the story alongside Dickens's four other Christmas Books: The Chimes, The Cricket on the Hearth, The Battle of Life, and The Haunted Man. All five stories show Dickens at his unpredictable best, jumbling together comedy and melodrama, genial romance and urgent social satire, in pursuit of his aim 'to awaken some loving and forbearing thoughts, never out of season in a Christian land'. Last edited by arcadius; 12-14-2017 at 09:50 PM. Just checked it again (downloaded it and all) but it works ok for me.